Walmart should have known better than to piss off a champion UFC fighter. 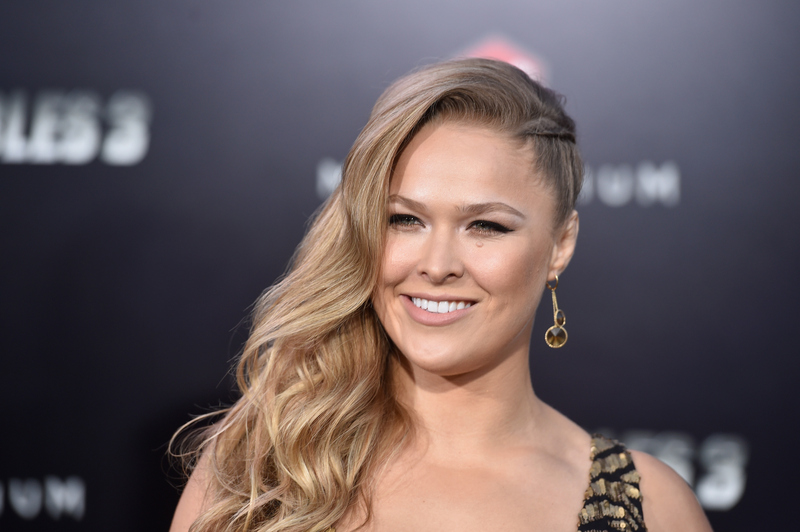 The superstore banned Ronda Rousey's memoir My Fight/Your Fight , which "charts her difficult path to glory...and what it takes to become the toughest woman on earth," for containing too much violence. The autobiography will be released worldwide next month, but Walmart shoppers will only be able to purchase the book online or in another brick-and-mortar bookstore (remember those?). According to Walmart spokesperson Danit Marquardt, "There are a variety of factors that we look at when determining what items to offer our customers. At this point, we’ve chosen to offer this particular title to our customers online." Curious, though, as to how those "factors" — which clearly include excessive violence — applied to an MMA fighter's memoir, but not to the movie American Sniper or actual guns, both of which Walmart sells in-store. Judging by the fact that My Fight/Your Fight is a #1 bestseller on Amazon, it looks like Rousey will get her revenge after all.